Hogfish feed on small fish, shellfish, and crustaceans, and make very hardy aquarium dwellers that adapt well to captivity. Provide Hogfish with a well-sealed lid, ample hiding places, and plenty of swimming room. 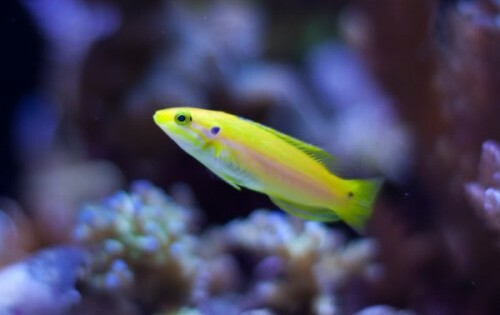 These fish grow quickly (up to seven inches), and require a large aquarium for long-term success.